Are you struggling with kindness and empathy in your household? 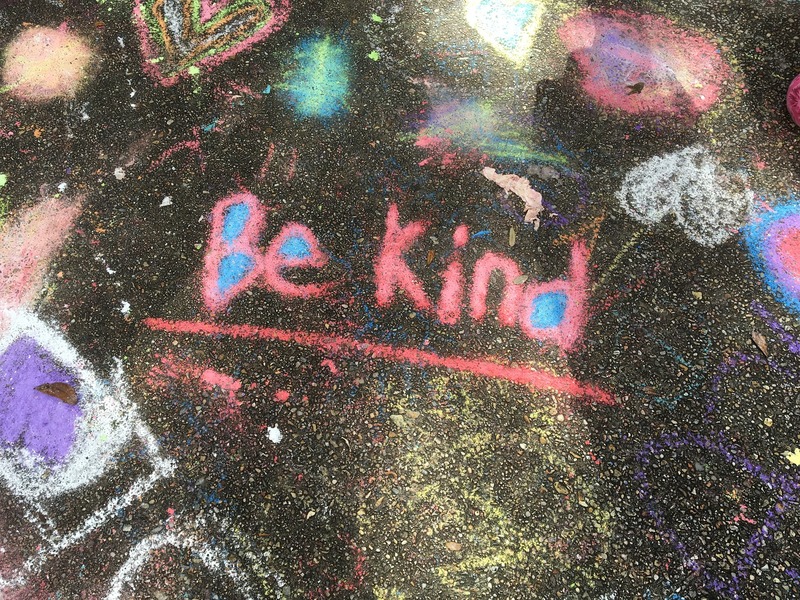 Do you feel like your children and stepchildren could use a lesson in kindness and empathy? A little kindness can go a long ways in a household that is already experiencing stepfamily stress. If you think about it from the child’s perspective, they are going back and forth between two households, and they are probably used to being the center of attention at each household. Having so much attention showered on them doesn’t foster kindness or even encourage them to think about others. Instead, it encourages the “me, me, me” attitude of an already selfie-fraught generation. Or maybe the children have been caught in the middle of conflicts between the two households. They might have heard their parents badmouthing each other, or their parent and stepparent fighting. Of course, this environment doesn’t model kindness or empathy either. So how can we raise empathetic children within a stepfamily? I have some tips to share with you, but remember that every situation is different, so the first thing you must recognize is that you can only do what is within your control. If you and your spouse don’t agree on parenting styles, and it’s causing a lot of stress in your relationship, then it’s time to focus on what you can control. If you think that your stepchild is lacking in kindness, but your spouse doesn’t see it, don’t keep forcing the issue. Instead of arguing about it or trying to make sweeping changes within your stepfamily, start by following the tips below and repeating them. Over time, you will notice a difference in your children and stepchildren. This is a great way for you to bond with your stepchildren and discuss topics in a low-pressure environment. You can organize a stepmom/stepchild book club or you could have a family book club. The important thing is to choose books that open up a dialogue on kindness and empathy. I recently organized a summer book club for stepmoms and stepchildren, and we’re reading Wonder, a book that inspired the Choose Kindness movement. Ideal for tweens, Wonder addresses common issues, such as bullying, friendship struggles, and the quest for popularity. This is a great way to broach these difficult topics and discuss real-life scenarios. You can also plan fun activities to go along with reading the book—making bookmarks, having book-themed snacks, and playing games related to the book. If you’re like most busy moms or stepmoms, once the children outgrow their clothing, you take it to Goodwill. This is great, but if you’re going to donate, why not take it to a place that helps foster children or domestic abuse victims? Why not take your stepchildren with you, so they can see where their clothing is going and who will benefit from their clothes? My stepdaughter is an only child and we only have her half of the time, so her clothes aren’t worn very much before she outgrows them. Most of them look brand new. Instead of taking them to Goodwill, we went to a place that helps foster children called Helen’s Hope Chest. The employee at Helen’s Hope Chest gave us a tour and told us a little bit about what they do there and what the foster children need. We learned that some foster children have never received a birthday gift, so when they get to go into “John’s Room” to pick out a new toy for their birthday, this is an extra special occasion for them. We also learned that the foster children get to pick out two books from the “Book Nook” and they get to pick out five outfits every three months. For a child that has everything (technically, everything times two) this was a great lesson in how something that means so little to us can mean the world to a foster child. Volunteering can also provide your stepchild with another perspective, a glimpse into other people’s daily struggles. You can volunteer at a soup kitchen or in a community garden. Finding age-appropriate volunteer opportunities can be hard, but if you have a Feed My Starving Children facility in your area, they offer volunteer tasks for all ages with parental supervision. Kindness can also happen in our neighborhood or in our community. It doesn’t have to be formal, or planned weeks in advance. Make some cupcakes with your stepchildren, and then share them with your neighbors. Have some extra vegetables in your garden? Ask your stepchild to pick them and take them over to your elderly neighbor’s house. These are all small acts of kindness that can brighten someone else’s day. And your stepchildren can experience the joy that comes with bringing a smile to their neighbor’s face. Teaching our stepchildren to feel thankful and express gratitude to others is so important. Have your stepchildren write thank you notes to family members when they receive gifts. You can also encourage them to keep a gratitude journal. For more ideas on starting a gratitude journal, click HERE. These are just a few ideas on how to cultivate kindness and empathy in your stepfamily. If you repeat them over time, soon you will notice your stepchildren initiating them. Your stepchildren will automatically write thank you notes after their birthdays. They will ask if they can take those extra tomatoes from your garden over to the neighbor’s house. Remember that repeating these small, consistent steps over time will lead to more empathetic children.